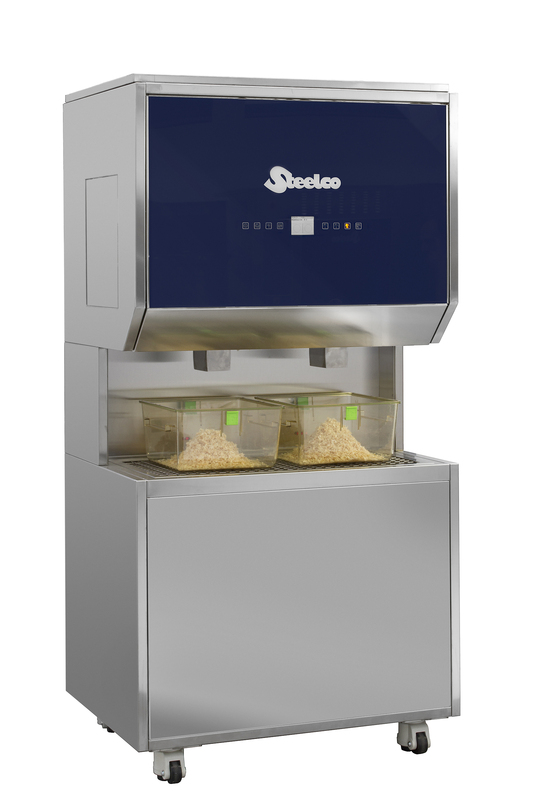 The Steelco semi-automatic bedding dispenser SBD easy is a standalone unit dedicated to accurate dispensing of any kind of free flow bedding. The unit requires no installation; it is plug-and-play with a total height limited to 1950mm (76.77”) to allow an easy access from a standard doorway or lift. 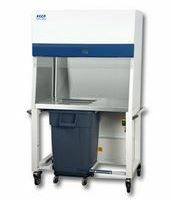 In order to protect the operator from allergen dust exposure, the unit integrates a high performance air suction system that surrounds the dispensing ports. The bedding dispenser is characterized by a high hygienic level thanks to the full stainless steel AISI 304 construction. 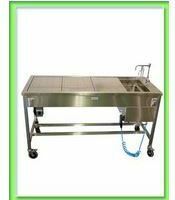 The surface of the control panel is made of one piece glass, a Steelco exclusive in the market, it does not have any recess where dust can collect and allows the easiest surface cleaning. The bedding dispenser is controlled by an industrial grade PLC and the HMI is Soft Touch type with graphic color LCD display. Bedding is loaded manually at ergonomic height (33.46” / 850mm) on to the loading hopper. The hinged supporting grid for the filling of the cages can be lifted up for bedding refilling and is maintained open by gas pistons. The clean bedding falls into the hopper (37 gal) and is then conveyed via a screw conveyor in dispensing silo (55.5 gal) that is positioned in the upper part of the dispenser. The system ensures that a full bottom tank will transfer any ‘free flowing bedding’ to the top hopper in 1 minute approximately. The bedding dispenser is suitable also for conveyed filling. The dosing system uses capacitive sensors to detect the presence of the cages in the correct position to start dispensing and dispenses automatically without having to touch a trigger bar or even come in contact with the dispenser. The standard configuration includes two delivery points that can operate either independently (when filled by a single mouth), or connected (when you fill the larger cages or you choose the continuous delivery from both mouths), this allows minimum waste from the upper reservoir. The distribution of the bedding takes place by gravity; a timer sets the amount of bedding to be discharged. 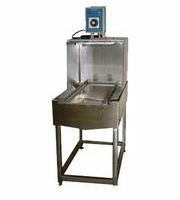 A system of rotating blades in the dispenser grants the repeatability of the amount of bedding dispensed. That amount is not influenced by the volume of bedding present in the silo. In order to protect the operator from dust exposure, the dispenser is equipped with an efficient air suction system. 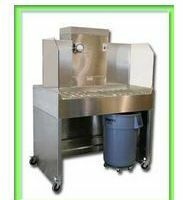 Suction ports are concentrated around the dispensing mouths and work continuously to avoid allergens and dust shedding. Easy access to the high level air filters for maintenance. Industrial grade PLC. The electronic programmable microprocessor allows the use of up to 40 dispensing programs. For each program, the operator can set the parameters of independent or connected mouth bedding dispensing and discharge time. Automatic sleep mode: after 5 minutes of non-use the bedding dispenser will go to sleep turning off all running parts until reactivated. The bedding dispensing unit SBD is on casters so it can be easily moved and placed wherever needed. Automatic safety shutoff interlocks on the hinged supporting grid. Automatic safety shutoff interlocks on fan filter.